Discussion in 'Lets Talk about gambling and more...' started by Marina, Jun 3, 2015. The online gambling debate in America oddly rages forward with a handful of people for it and a handful of people against it. Both sides have stated their cases ad nauseam in legal forums, but lay people may or may not have heard the arguments for and against yet. It’s even less likely that people have heard the position that is contrary to the view they have already taken. If you’re an American, or interested in American politics, this will be a handy guide to some of the most common pro and con arguments on the subject of legalized online gambling. Although it is correct to assume that people would be furious about further monitoring of online correspondence, the argument that it’s difficult to police is faulty in one glaring way: plenty of things are illegal and hard to police that should still remain illegal. Whatever your views are regarding online gambling (and judging from the fact that you’re reading this, you’re probably fine with it) the “people are going to do it anyway” argument is simply a bad one. One of the best arguments for gambling is simply that outlawing it simply gives money to criminal enterprises in America and abroad. Quite simply, it’s pushing a lot of money overseas to someone who is not licensed or regulated rather than keeping the money in the country and out of hands that are connected to some kind of organized crime. While it may be only white-collar crime, there is also the possibility that it’s an organized entity that is involved in more hostile activities. Americans already love gambling. Several states have pockets of gambling that are absolutely legal. 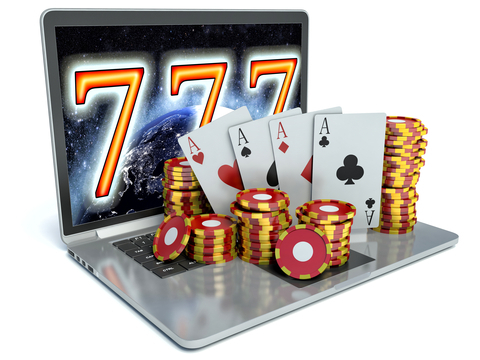 What’s the difference between a land based casino and an online casino? One of them you can go to in your underwear while you’re eating breakfast. Even land based casino owners, like Caesars and MGM, are clamoring for online gambling to be legalized. This is one of the top two arguments that everyday people use against online gambling. They feel that since casinos used to be in the pocket of people like Bugsy Siegel, online casinos will as well. Not only that, but activities like drugs and prostitution are commonly associated with casinos. While casinos did formerly tend to belong to organized crime, that’s simply not true any longer. simply aren’t involved. It’s like equating drunk driving and late night dining. Do some people drive drunk to a late night diner? Certainly. But most don’t. Of course, as with any debate, there’s the requisite “someone think of the children” argument. This one is just like all of the others: if America legalizes online gambling, children and teens will have easier access to it. This is a patently ridiculous argument. Children and teenagers will not have any more or less access to gambling than they did before. They have always been able to gamble in a card game with friends if they chose to. While they may have the ability to gamble online, this would not be without stealing a parent’s credit card or password. That would certainly raise the question as to what other activities the child or teen may be up to. Not only that, what child or teen would want to gamble with their parents’ card if there’s no way for them to take the winnings? Sheldon Adelson will pull campaign contributions from politicians who don’t fall in line with his visions of gambling so politicians are more inclined and motivated to bend to his every whim. While the battle for online gambling will continue to wage in America and will likely win at a state-by-state, grassroots level, it may take quite some time before it happens to really take hold. Hopefully something that everyone already wants will soon be legal on a federal level. I will never understand the US. It is fine for them to have guns at home but it is not ok to play Slot Machines at your PC??? Just insane. queenmap, Ellis and Marina like this.